You must be a member of the Kathmandu Foodies Group to attend this activity. Would you like to join this group? Dan Ran one of the most popular authentic Japanese restaurants in Protected content . Junko has kindly agreed to host the cooking class on February 3rd Sunday. Let us come together and encourage and support our fellow InterNations member for a successful celebration! 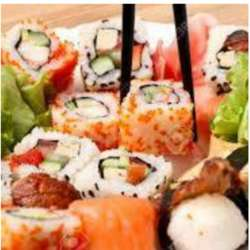 We will not only learn the popular sushi rolls but a whole range of new authentic Japanese cuisine. Do sign up before all seats are taken up, however, please in the case you cannot participate at the last moment, I'd like to request you to either cancel your name or to call me. Thank you, see you! Tasneem.